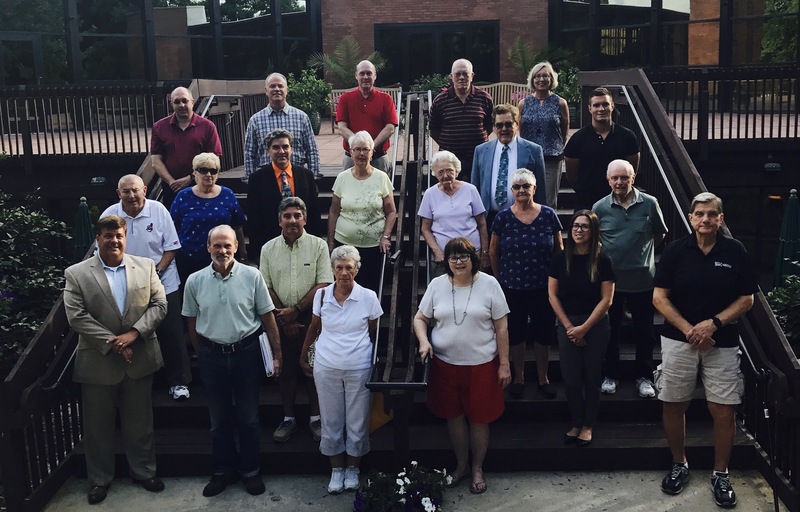 Trustees are residents elected by all the property owners in Greenwood to govern the GVCA as representatives of all the residents within Greenwood Village. Trustees enforce the legal documents and make decisions based on the interests of the entire community, not individual owners or condominium associations. As volunteers, they are not compensated for this service. Elections are held every June at the GVCA annual meeting. Each Trustee serves for 2 years, so only half the Trustees are on the ballot each year. The GVCA Board of Trustees meet the third Tuesday of every month. * Trustees elected mid term. Trustees are unpaid volunteers from the condominium associations, apartments and single-family homes within Greenwood. Condominium or Williamsburg residents interested in becoming a Board member can express their interest to their condominium association or management company. Residents of single family homes and potential members-at-large can express their interest directly to the GVCA Nominating Committee Chair. Residents interested in participating in one of the Board Committees can express their interest to that Committee Chair. Contact the Committee Chairs via the GVCA Office. Trustees bring a variety of important skills to the task of governance – finance and accounting, planning, law, organizational management, communications, information technology, human resources, horticulture and woodland conservation, recreation, engineering, and housing and commercial building maintenance – as well as their professional work experiences to the work of the GVCA. This ensures the interests of all owners are represented and provides a diversity of opinions. While the Trustees come from the eighteen associations of Greenwood and the single-family homes, their responsibility is to act in the interest of the residents of all 1,507 Greenwood Village housing units. Bringing an Issue to the Board. If you have a concern you would like the Board to address, first check with the GVCA Office. The GVCA Office can often resolve your concern in a more timely manner, or guide you to the appropriate Association or GVCA Committee. For concerns that need to go to the Board, the best solution is to document your concern in a letter. You can also attend the annual meeting, or one of the monthly meetings, or the meeting of the particular committee responsible for your area of concern. The Board of Trustees is currently limited to 23 members. The Trustees of the GVCA Board serve a two-year term, beginning at the Election of Officers Meeting immediately after the annual GVCA Board meeting when they were elected. The annual GVCA Members meeting is held every June in the Community Room of the clubhouse. Annual ballots are mailed to all property owners in Greenwood before the meeting. The Nominating Committee places the nominated Trustees on the ballot and presents it to the Board, who approves it for mailing to the property owners. Property owners can either mail back their ballots or bring them to the annual meeting. There is no provision for voting by proxy. Board Officers are elected annually. The Trustees elect the Board Officers at the GVCA Election of Officers meeting following the Annual meeting. The monthly GVCA Board meetings are held in the Garden Room of the Village Club at 7:00 pm on the third Tuesday. The President appoints all the Committee Chairs, and they appoint their Committee members. For more information, refer to the GVCA Committees.